In the Wild...You Must Adapt to Survive! It starts with the rule: draw one card and play one card. But as New Rules, Actions, Keepers, and Creepers are played, the rules constantly change! 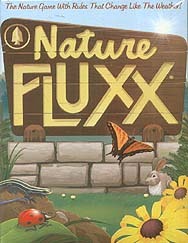 With Nature Fluxx, that's the nature of the game!